EDMONTON - A new era begins Monday for Alberta's dynastic Progressive Conservatives, once a colossus of stability and constancy, now a feuding family stricken by more staff turnover than a beachside burger stand. Jim Prentice — the former Calgary MP, cabinet minister, and key lieutenant to Prime Minister Stephen Harper — will be sworn in as Alberta's 16th premier. He is also to announce his new cabinet. He will be the Tories' third premier in six months, compared with the three who led them through the 35 of their first 43 consecutive years in power. 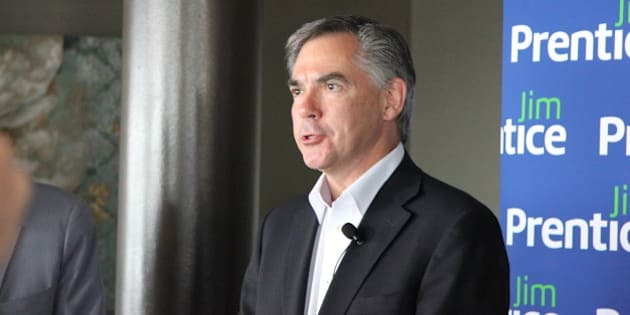 Prentice, in an interview, said he is not looking backward. "Albertans will see, effective Monday, that Alberta is under new management," he said. "That will be increasingly clear with every single day as we move forward." But time is short and Prentice has set the bar high. Alberta is about 16 months away from its next legislated election, which must be held in the spring of 2016. Prentice has promised to clean up the scandals of the Alison Redford era, to pay down the debt which is set to hit $21 billion by 2017, open up markets for oil and other products, protect the environment and build infrastructure for hundreds of thousands of newcomers. All this will be done, he says, without raising taxes, adding taxes or tinkering with oil royalties. The problems didn't end. The Tories sunk in the polls as they were rocked by one embarrassing revelation after another, a train wreck set to a tragi-comic script akin to William Shakespeare meets Abbott and Costello. Redford, it was revealed, flew her daughter and her daughter's friends on taxpayer-funded government planes. She seconded a staffer to the role of travel scout, who hopscotched around the world arranging flags, gift baskets, and rides ahead of Redford's arrival. The figurative — and literal — capper was the so-called "sky palace," a penthouse retreat Redford's staff had been building for her atop a government building, modeled after the hoity-toity Hay-Adams Hotel in Washington DC. When the project became known after Redford left, one cabinet minister trumpeted that he killed it in 2012. Another said he killed the project this past January. Last month, Auditor General Merwan Saher said no one killed it. The plans, he said, were not mothballed but instead altered. Now it's a penthouse with meeting rooms and adjoining showers. During the leadership race, the PC caucus began feeding on itself. When it was revealed Finance Minister Doug Horner had been running the government airplane fleet on the honour system, he sent a confidential email to caucus ripping those who wanted him out. Someone leaked the email to the media. Leadership candidate Thomas Lukaszuk was stung by a brown-envelope leak revealing he ran up a $20,000 cellphone bill helping a colleague while on vacation in Europe. Human Services Minister Manmeet Bhullar, a key member of Prentice's campaign team, was accused by opposition sources of shopping around dirt on Lukaszuk and on another potential leadership rival, Energy Minister Diana McQueen. This week, the Wildrose party demanded Prentice prove his leadership bona fides by addressing allegations PC backbencher David Xiao used public money to reward party supporters, something Xiao denies. The Wildrose also said Edmonton PC backbencher Sohail Quadri broke leadership election rules by collecting a bunch of electronic voting PIN numbers. Quadri didn't return a call for comment. Prentice said he's not surprised the opposition is trying to keep the scandals in the public eye. He said he, too, wants them to stop. "That's why I returned to public life," he said. "I intend to clean it up, (but) what other political parties think about that or don't think about that is not my motivation. "I will deal with specific issues as they arise." And the opposition will be there, by his side, lending a hand. Attention, Jim Prentice, clean up on aisle three.